My Comments: In my youth, Howard Johnson was the standard when it came to motels and places to eat when traveling in the US. They were everywhere. But times change, ideas reach their expiration date, and the business model falters unless someone brings a new vision to the table. Sometimes it’s impossible to remain relevant and economically viable. Sad to see this icon disappear from the landscape. 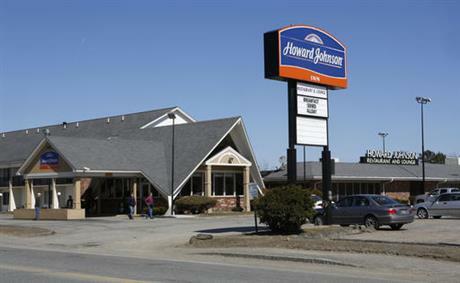 BANGOR, Maine (AP) — The closing of one of the last two Howard Johnson restaurants in a couple of weeks will mark the end of its fried clam strips, ice cream and other menu staples that nourished baby boomers and leave the once-proud restaurant chain teetering on the brink of extinction. The slice of roadside Americana will no longer be served up in Bangor after Sept. 6. For waitress Kathe Jewett, it’s the only job she’s held since starting work when the restaurant opened in 1966. The closing will leave only one Howard Johnson restaurant, in Lake George, New York. Before falling on hard times, Howard Johnson took restaurant franchises to a new level. The orange-roofed eateries once numbered more than 800, with the New England-based restaurant chain predating the ubiquitous Howard Johnson hotels. Howard Deering Johnson started the business in 1925, when he inherited a soda fountain outside Boston. That evolved into a chain of restaurants featuring comfort food and 28 flavors of ice cream. The orange roof with a blue spire represented a dependable place for travelers to park the family car, grab a meal and spend the night. In Bangor, the Howard Johnson Restaurant and Lounge in its heyday was popular with travelers and locals alike, including horror and science fiction author Stephen King. King, who lives in Bangor, said he used to eat there often and enjoyed the patty melts and milkshakes. Owners David Patel and his wife, Sally Patel, kept their restaurant going for the past four years as business slowed and hours were scaled back to just breakfast and lunch. Fortunately for HoJo fans, the Lake George restaurant appears to be on solid ground and is open year round. He said it’s a “good feeling” to be keeping the HoJo legacy alive. “Knowing I have the only one left makes it special,” he said. There was a tinge of sadness Tuesday as Bangor diners digested the news. Christopher Leek, of Orrington, learned while celebrating his 49th birthday with his girlfriend and his mother that the restaurant he’s visited since childhood is about to close. Walter Mann, of New Haven, Connecticut, who started a website dedicated to documenting HoJo’s restaurant history, said he and other HoJo fans still hold out hope that an “orange knight” will step forward to revive the restaurants. If not, he’ll still cherish the memories.